If humans didn’t make mistakes, we wouldn’t have invented so many great things. Trial and error is a viable working method. ‘No one is perfect’ is a cliché but it’s nevertheless true. Although we all know it, mistakes still have a great power over us. Mistakes catch our attention and we are afraid of mistakes. Do you know what a googol is? It is a very, very large number of 1 followed by 100 zeros. Wikipedia tells that the term was coined in 1938 by a young American girl. Many decades later the term came up in a meeting where few people were trying to find a name to a new service. A small typo later, Google was born. This story proofs that some typos are more flukes than disasters. Often in the business world the worst scenario is to blend into the mass. Then only few people would remember the firm, and no one would notice or care if it exited the market. A typo or mistake can help in building a memorable brand. The most clever companies make ‘mistakes’ intentionally. They know that flawed companies only feel humane and accessible. Of course there are situations when the translation needs to be perfect and flawless. Safety issues come first in mind but lately many readers have noticed that mistakes and typos don’t fit well in the translated literature either. Bad or sloppy translation can ruin the reading experience because it moves the attention away from the content. The same goes with weird subtitles of a movie or a TV program. Savings of translation costs in wrong places can rebound later with negative outcomes. However, the opposite is problematic too. The fear of mistakes sometimes prevents from translating at all. People prefer their own language. English only content won’t ever reach as many people as localized content. Small mistakes are insignificant when the alternative is to not understand a word. Mistakes have a power that shouldn’t be underestimated. On one hand, a mistake can create an optimal environment for getting attention and becoming an icon. On the other hand, the fear of mistakes can prevent us from acting. It’s the dual role that makes mistakes so powerful. Don’t be afraid of a minor translation mistake. Sometimes it’s enough to just get the gist of the message. 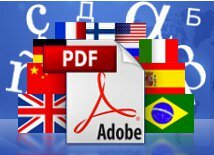 Previous Previous post: Is Your PDF File Searchable?